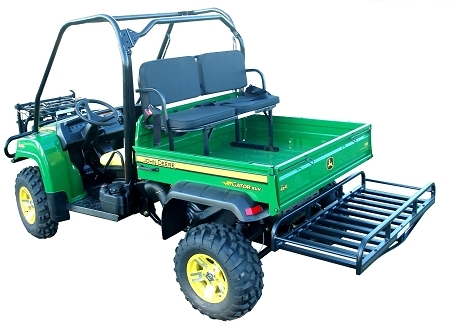 UTV Owners, double your seating capacity with the Rumble Seat. Take a couple of friends on your next trip afield in your utility vehicle. 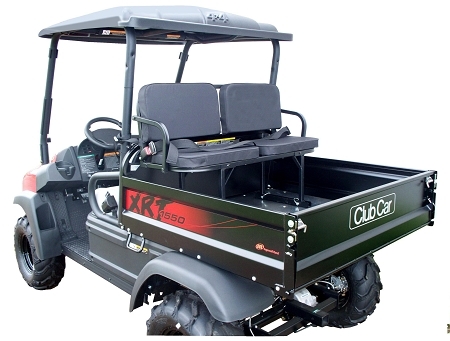 Most off-road utility vehicles only provide for comfortable and safe transport of two passengers. Each Rumble Seat comfortably accommodates two adults. The Rumble Seat is framed in lightweight aircraft aluminum and adds only 24 lbs. to the vehicle. The feature super soft, cushioned pads covered with 600 Denier PVC coated polyester. The total weight capacity for the UVDRS100BL is 300 lbs. 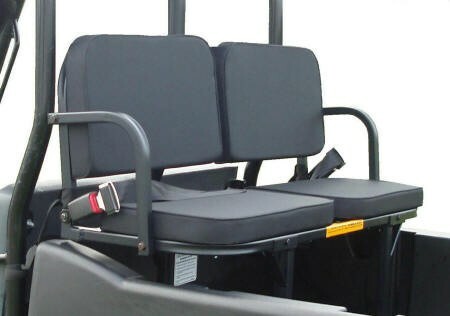 The Rumble Seat features safety belts and quick-detach brackets to allow instant installation in all popular brands and models of utility vehicles. Also includes safety straps to insure bed stability. MEASURES: 46" W x 14.5" D x 17.5" H 300 lb weight capacity.